What is YOGA MOVES KIDS™? YOGA MOVES KIDS™ exercises and activities enhance physical health, learning, and social responsibility by combining an active, playful, and developmental exploration of the body, mind and self. YMK™ combines conscious breathing, basic & creative yoga poses, games, and developmental movement play to develop, maintain, or improve the neurological relationship between movement and learning. YMK™ is healthy and fun for all children! And because it is based on brain science, it is especially beneficial for children who have challenges with learning, paying attention, self-control, anxiety, and too much screen time; too little movement. YMK™ is more powerful than traditional tutoring for many children who are struggling. Developing brains need MOVEMENT in order to make the neurological connections that will help them succeed. Teachers have called YMK™ a powerful form of tutoring - "Movement Tutoring"! What are the specific benefits of YOGA MOVES KIDS™? YOGA MOVES KIDS™ yoga poses override the stress response and clear the slate for learning and developing both mental and physical focus, strength, balance and flexibility. YOGA MOVES KIDS™ breathing exercises teach a profound life skill that lays the foundation for self-care and responsibility, presence, calm and focus. 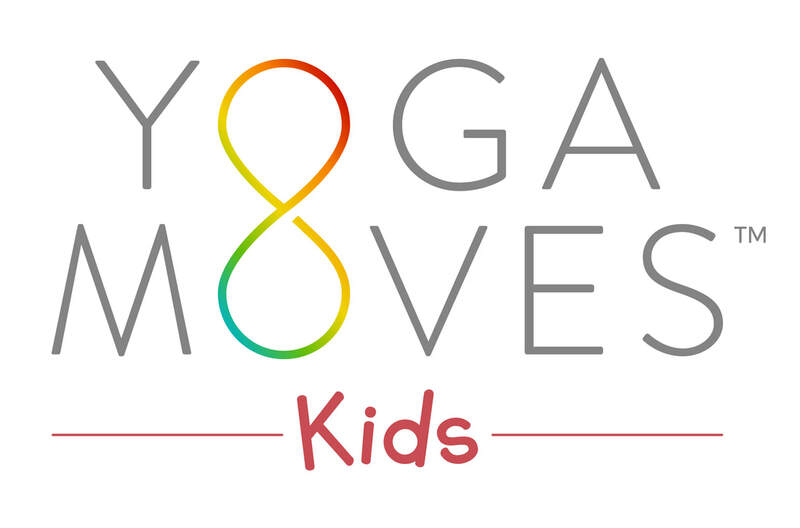 YOGA MOVES KIDS™ games are a non-competitive way to enhance fitness, teamwork skills, and creative thinking. YOGA MOVES KIDS™ developmental movement play provides a way for children to revisit important developmental movement milestones in order to move in ways that specifically enhance and improve learning. YOGA MOVES KIDS™ teaches children that they are designed to move, and encourages them to move more often! How can my child participate in YOGA MOVES KIDS™? I currently teach YMK™ to my own students and to after school groups at the elementary school where I work. I am also available for after school, weekend or summer sessions with your children and their friends! ​Parties, special events, etc. all make great environments for the little ones (5-11) to play with yoga & movement. Bring the benefits of YOGA MOVES™ to your kids!